WHAT’S NEXT IN ANALOGUE AUDIO? 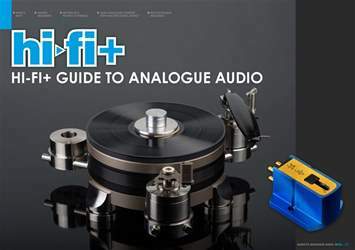 •	Turntables & Tonearms: 23 turntable and tonearm makers provide previews of their latest and greatest analogue delights. •	Phono Cartridges: 12 cartridge-crafting artisans tell us about upcoming evolutions in the world of phono cartridges. •	Phonostages: 25 analogue-minded electronics manufacturers tell us about new phonostages that will bring vinyl playback alive. IS ANALOGUE AUDIO COMPETITIVE WITH HIGH-RES DIGITAL AUDIO?